We offer claims services to many insurance companies to determine origin and cause, nature and extent of damage. Claims might be as small as an outdrive or as large as a total loss for fire or sinking. 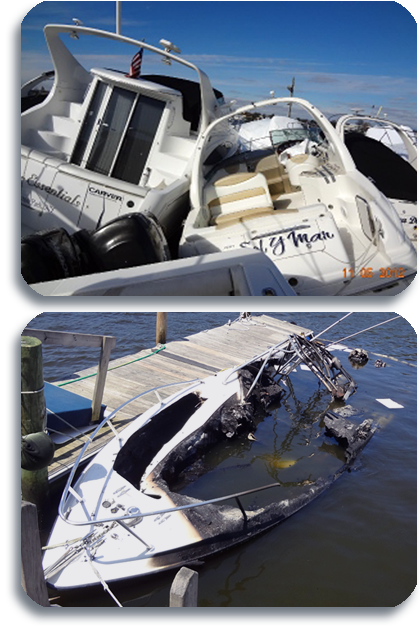 We also work closely with repairers to determine what will be necessary to bring the vessel back to its pre-loss condition. If you have a difference of opinion in regards to a repair or insurance claim, this service is also available. We will act as your representative to arbitrate or settle your claim with the utmost professionalism. If you’re in need of an expert report or assistance, this type of service may be what you need. We have worked very closely with many maritime attorneys representing owners and insurance companies.